We Are the Angels of Tedium! I have an embarrassing confession to make. Despite all my geek-oriented interests and friendships I’ve made throughout the years, my scope on the Warhammer universe is very limited. Yes, I’m marginally aware of the basics of Space Marines, Space Orks and Tyranids, and how Games Workshop has a multi-million dollar business through its plethora of tabletop gaming related merchandise. However, I’ve never sat down and painted a mini-figure, I’ve never played a campaign, I’ve never tread through the bibles of lore available through guides, books, or numerous wikis, nor have I played any of the Warhammer related video games. 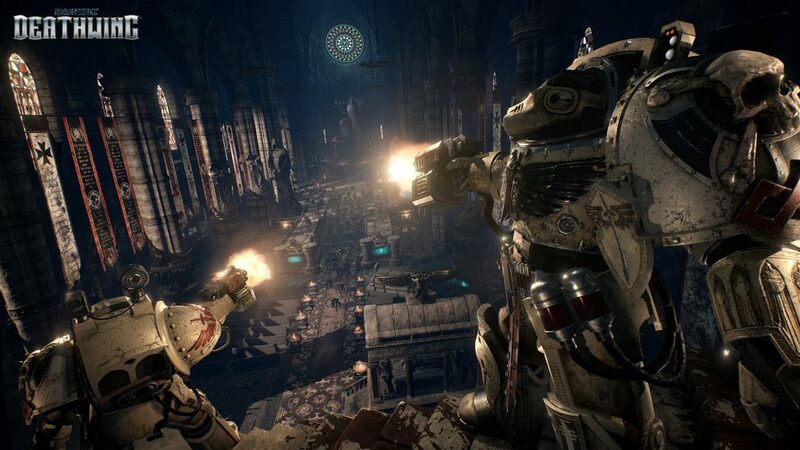 So, when I was tasked to sit down and play an overhauled version of Streum On Studios’ Space Hulk: Deathwing Enhanced Edition, I was pretty excited to finally get a taste of what the franchise had to offer. Unfortunately, my time spent as a gargantuan Space Marine clad in Terminator Armor purging the heretics was nowhere near as exciting as it should have been. 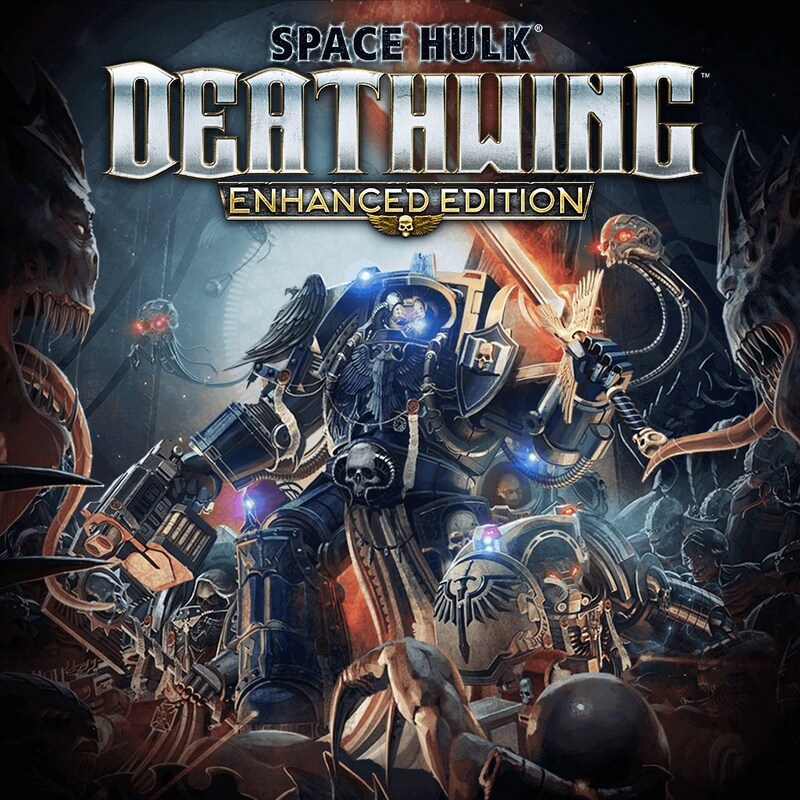 The story of Space Hulk: Deathwing Enhanced Edition begins with the player being enlisted as a member of the Dark Angels, 1st Company. This elite Space Marine unit employs some of the most capable and powerful warriors in the Empire, and you not only have hulking power armor and weapons on hand, you also have an armory of otherworldly spells to smite your unholy enemies. Among these heretics are the Genestealers, Tyranids (think Alien Xenomorphs mixed with a bit of the Zerg from Starcraft) who corrupt and infect planets under the Space Marines’ watch. Word has gotten to your chapter that the Genestealers have gotten hold of a Space Hulk, the floating wreckage of a gigantic space ship, and are using it to try and build a giant hive. The Imperium isn’t having any of that, so it’s delegated to the Dark Angels to clean out the hive-in-progress. Good day to roast some Xenos, eh? When I first landed on the Space Hulk, I immediately got vibes of Dead Space with a bit of Star Wars: Republic Commando mixed in. The hallways of the Space Hulk are massive, with plenty of industrial lighting and religious architecture sprinkled about. Clanging metal and alien screeches can be heard echoing in the distance. Along with the radio chatter between your teammates and your Chapter sending you orders, the atmosphere and attention to detail with the game’s universe are easily its best features. You have two teammates that join you throughout the game’s 9 chapters, and while not exactly the smartest on their own, they do a decent job of taking out the waves of Genestealers that come your way, and you can also issue orders to them to hack doors, heal you, or heal each other; among other things. You can also play via online co-op to take away the AI element if you wish. 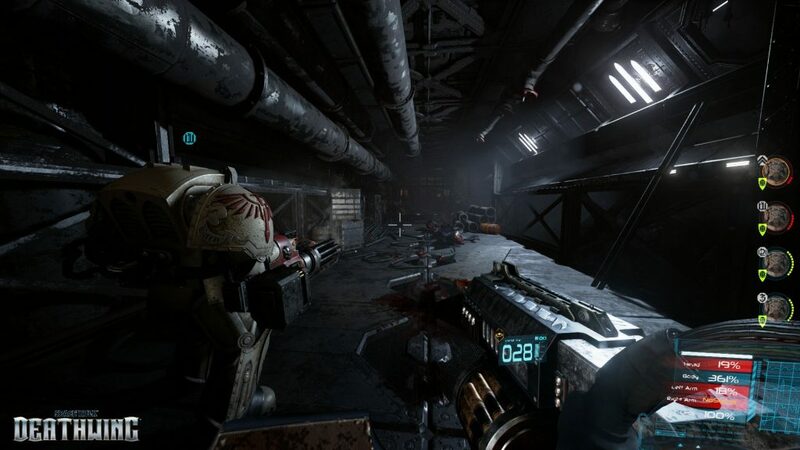 Much of your time is spent wandering the halls of the Space Hulk, taking out waves of enemies along the way. Though one might think taking out hordes of aliens as a half human, genetically modified killing machine would be wholly satisfying, it unfortunately gets old very, very quickly as there isn’t much in the way of variety on display in the world of Space Hulk. Enemies either come in huge waves or smaller groups of a few grunts here and there. With your weaponry on hand all are easily dispatched in a way that is very unsatisfying. Later on glowing, purple suicider Xenos get thrown in to the horde. Quickly things go from boring to annoying as these guys hit you hard, and can blend in with the huge number of enemies coming your way. With how rare checkpoints are, this can make repeating large sections of the game extremely tedious. Even with a large number of upgrades and customization options on hand, I still found myself sticking to my Storm Bolter for the majority of my time exploring the derelict Space Hulk. The other options really just didn’t add much to my experience. You’re going to be doing a lot of this. While the lighting effects are satisfying in the PS4 version we were supplied, the overall graphical presentation felt stilted as well. My current setup is a PS4 Pro hooked in to a 65” Samsung 4k TV, and nothing that ran on my screen seemed to run close to 1080p, much less 4k. The game uses Unreal Engine 4, but even so the PS4 should be far more capable than what was on my screen. Framerates seemed to teeter between 30-45 frames per second, the textures were very dull with aliasing everywhere (adjusting the FOV slider in the graphical options seemed to fix this, somehow), and you are constantly clipping through your teammates with zero collision detection between them. At first glance I thought I was playing an early release PS3 game. Thankfully the PC Release is not supposed to have any of these issues, obviously from the ability to have much more powerful hardware and additional graphical options on tap. 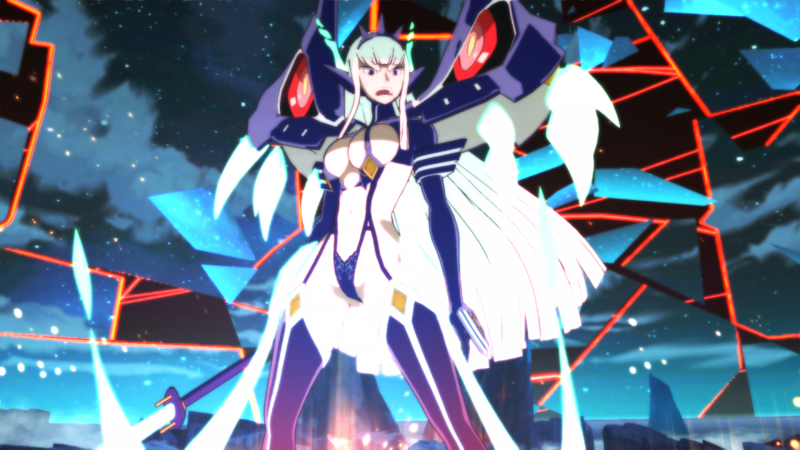 However, we were only given the PS4 version to test, so our review is a little limited on that end. Aside from the single-player campaign and multiplayer, the Enhanced Edition adds in Special Missions. During Special Missions the player is tasked with going to points in maps featured throughout the single-player campaign and adds alternative objectives to complete. 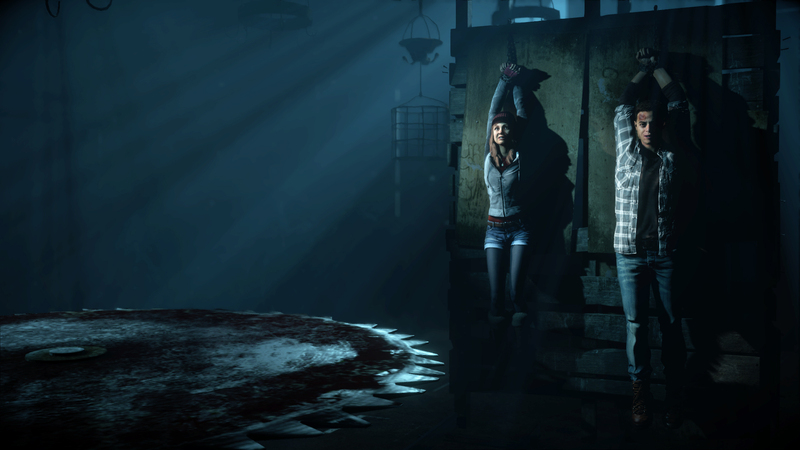 These add a fair amount of replay value, but the objectives largely remain the same. You typically end up just going to different places than the story takes you. 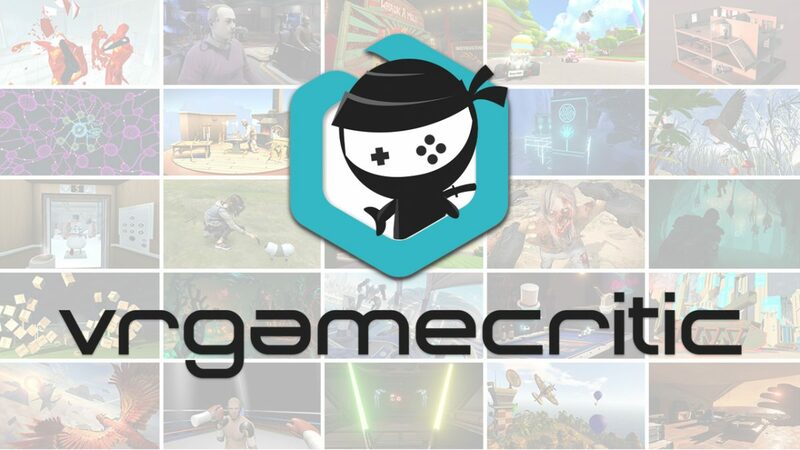 The aforementioned Multiplayer is a staple for FPS games, but it seems difficult to find a match. Perhaps it’s from my times I chose to try multiplayer or perhaps the game is just that empty, but my time with multiplayer was extremely limited as a result. What was there did seem to be fun though. 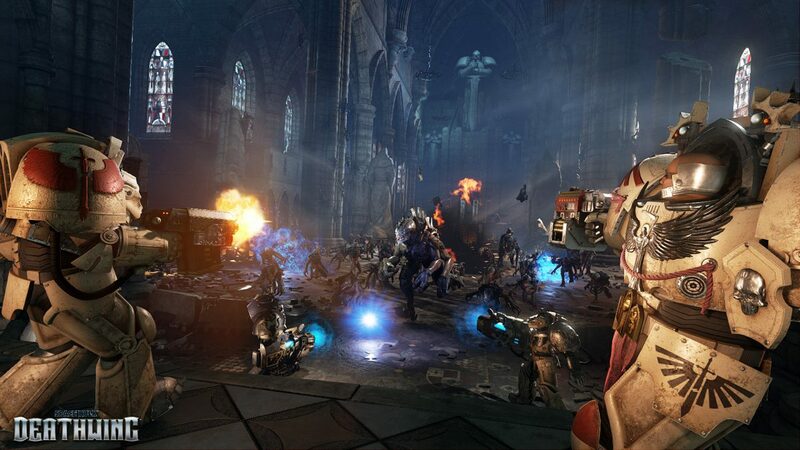 While there are quite a few issues that wouldn’t easily draw in a newbie to the world of Warhammer 40k, Space Hulk does do a fair job of respecting the source material. Though the story may not be particularly in depth compared to the other lore on hand in the 40k universe; or a tabletop campaign you and your friends make, it should serve as a good romp for those already invested in the Games Workshop world. I would recommend picking this up on Steam though, as the PS4 version seems to be lacking, even on a PS4 Pro. Full disclosure: This review is based on a PS4 review copy of Space Hulk: Deathwing Enhanced Edition given to HeyPoorPlayer by the publisher.